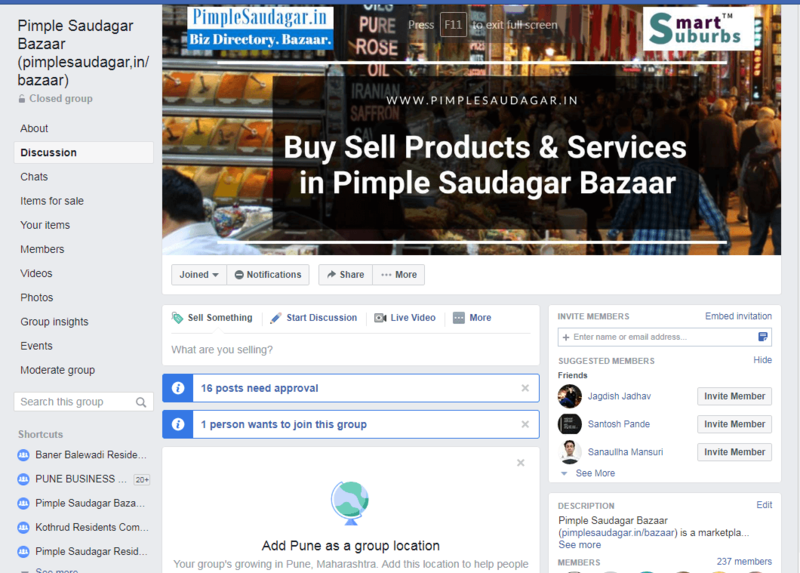 Pimple Saudagar residents & businesses: Welcome to our Pimple Saudagar Bazaar Facebook Group. Pimple Saudagar Bazaar facebook group offers you a huge platform to sell / showcase your product/service offerings online. You just have to join in by registering our Facebook Group and you are ready to Sell and/or Browse products. Our Pimple Saudagar Facebook Page can give you maximum reach by posting on our page and increase your Product awareness & sale. So come and join our Facebook Group Today.